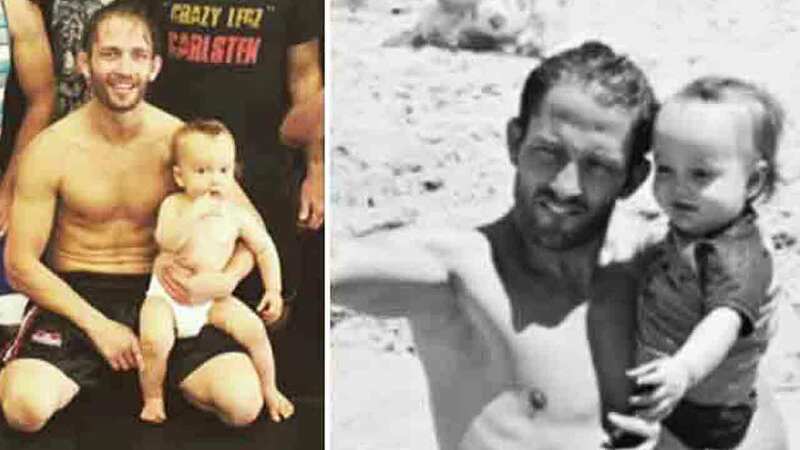 MMA fighter Marcus Kowal pictured with his son, Liam Mikael Kowal, in two undated photos. HAWTHORNE, Calif. -- The 15-month-old son of MMA fighter Marcus Kowal was taken off life support after being struck by a suspected drunk driver in Hawthorne over the weekend. The athlete's son, Liam Mikael Kowal, was being pushed in a stroller through a crosswalk by his teen aunt in Hawthorne when they were struck by a 72-year-old woman, according to police. The crash happened near 133rd Street and Hawthorne Boulevard Saturday afternoon. The suspect, identified as Donna Marie Higgins, tried to flee the scene but witnesses followed her and blocked her vehicle until authorities arrived. Donna Marie Higgins, 72, is shown in a mugshot. She was arrested on suspicion of felony drunk driving and felony hit-and-run. She was booked at the Hawthorne jail in lieu of $100,000 bail.